The short-term WWE return for Bret Hart looks like it will be extended. Reports indicate that the former WWE champion will be sticking around after his WrestleMania 26 match with Vince McMahon. Hart is being advertised on an overseas tour in Germany. Could Bret Hart be coming to your town? As of now, Bret Hart is only being advertised for a WWE tour in Germany. Bret Hart will be appearing as a Special Enforcer/Guest Referee for a series of WrestleMania rematches between Chris Jericho and Edge for the WWE title. The Canadian WWE superstars are undoubtedly thrilled to get the opportunity to work with one of their heroes. Is this the first sign of a Bret Hart WWE tour across America? I don’t think a Bret Hart tour across America with the WWE is out of the question. Obviously, it takes a lot more of a commitment for Bret Hart to go on the European tour. I would imagine that a couple of weekend gigs a few times a month would appeal to the Hitman. The WWE usually brings a WrestleMania Revenge tour on the road throughout April and May. This would be a great opportunity to slip Bret Hart in on a few shows, get the WWE Hall of Fame wrestler some nice paydays, and give WWE fans a chance to see Bret Hart in a WWE ring for one last time. Some people may immediately question the travel schedule of Bret Hart at his age and physical stage. However, Bret usually keeps a busy schedule in the summer doing tons of conventions and signings. I can’t see this schedule being that much different than the summer tour he usually does around the world making appearances. Quite honestly, it would probably be a lot less stressful for Bret just having to show up rather than handle the business end of a deal like he would for signings, etc. The big question here is what to do with Bret Hart if he really is going to stick around? The idea of a Special Enforcer every once in awhile is perfect. However, as great as it has been to see Bret Hart back on WWE RAW I just don’t know how long it will be before the novelty wears off. Even Hulk Hogan’s welcome wore out every time he came back for a WWE run and like him or not, he is truly the “Babe Ruth” of the WWE. Sporadic appearances, a guest referee gigs here and there, maybe the perfect answer for the next chapter in Bret Hart’s WWE return. Another suggestion would be to make him the permanent General Manager of WWE RAW. 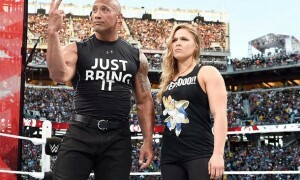 Reportedly there were plans at one point to drop the celebrity guest gimmick following WrestleMania 26. Unfortunately those plans have changed as there appears to be celebrities on the WWE Guest Host schedule through May. 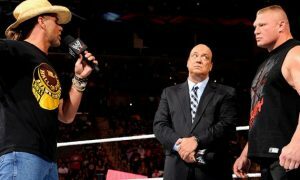 Although running the show on WWE SmackDown with Chris Jericho and Edge in the mix could be in the cards. Maybe the Guest Enforcer spot ties into those future plans? One last idea would be to have Bret manage the Hart Family Dynasty. 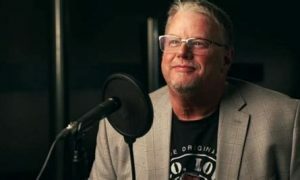 Bret was quoted in the past regarding his desires to get over the Hart family members if he ever returned to the WWE. Shockingly, the Hart Dynasty has been nowhere near the Bret Hart-Vince McMahon angle to this point. Hart could act as a mentor or manager to the group. The only problem here is that the Hart Dynasty has been booked to be low-undercard wrestlers. It would almost look kind of silly at this point to see a legend as big as Bret Hart involved with a team that has barely been able to crack a pay-per-view spot. Regardless, I am sure there are a lot of Bret Hart fans ecstatic with the latest news on Hart’s future. Nothing is set in stone, but at least WrestleMania won’t be his swan song. I happen to think that we will see more Hart vs. McMahon in the future but I’ll save that for my WrestleMania 26 preview on Friday. Either way, it is nice to see that one of the biggest stories of the last decade will continue past WrestleMania. Order the WWE DVD WWE – Bret “Hitman” Hart: The Best There Is, The Best There Was, The Best There Ever Will Be. Read more about Bret Hart in his autobiography – Hitman: My Real Life in the Cartoon World of Wrestling.